2. 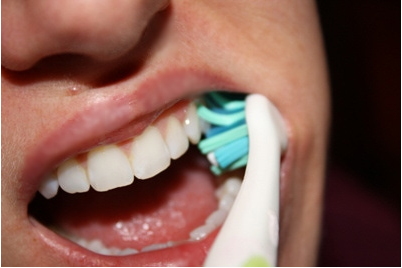 Start with your upper molars (back teeth) on your left side and work in a clockwise direction. 3. 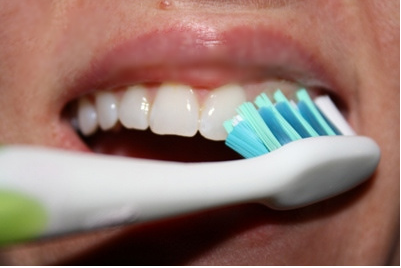 Point the bristles toward the gumline, in a 45-degree angle. Use a short circular motion for approximately 20 seconds. 4. 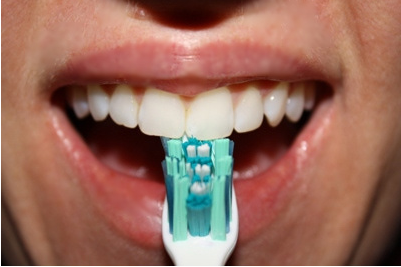 After 20 seconds, roll the brush head away from the gumline, so the bristles sweep the surface of the tooth, removing the food and plaque. 5. Continue working in a clockwise direction, ending with the lower molars on your left side. 6. Repeat step two and three for the inside surface of the upper and lower molars. 7. 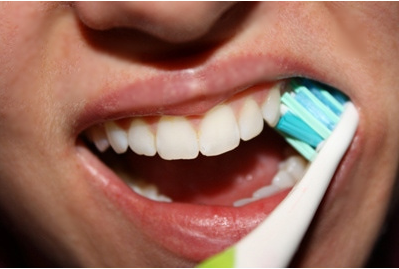 Brush the lingual (back) surface of the upper-front teeth by using the tip of the toothbrush head. 8. 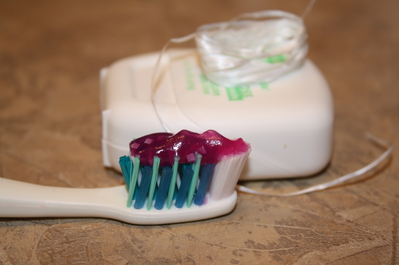 Direct the bristles toward the gumline, and use a flicking motion down the surface of the tooth. Do this 2 to 3 times.